This webinar will discuss the principles of visually lossless video compression and especially Display Stream Compression (DSC). 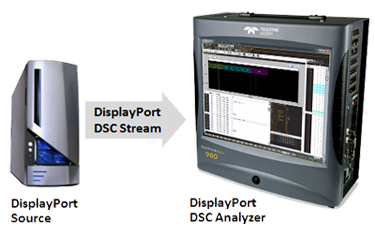 You will learn how Display Stream Compression (DSC) works over the DisplayPort interface. The webinar will cover the DSC setup transactions occurring over the DP aux channel as well as the protocol transmissions over the DP Main Link used to ensure proper DSC decoding.